The vote on the long-term budget plan agreed upon by Sen. Mitch McConnell and Sen. Chuck Schumer is imminent. The deal is expected to pass through the Senate despite vocal opposition from several Democrats due to the separation of the deal from the immigration debate. The same cannot be said for the House, however, as more opponents are emerging from both sides of the aisle for varying reasons. Some House Democrats, bolstered by House Minority Leader Nancy Pelosi’s record-length speech yesterday, are claiming they won’t support the budget plan without the promise of a debate on immigration reform centered around the renewal of DACA protections. Speaker Paul Ryan has reiterated several times that he won’t hold a debate on an immigration plan unless it has the White House’s approval, despite McConnell scheduling a debate over DACA solutions for next week. House Democrats simply want what their counterparts in the Senate received. Pelosi made it clear that she will not vote for the budget plan, but did not actively encourage her caucus to vote against it, leaving them to their own decisions. “I want her to use the same kind of tenacity and muscle and perseverance to stop the Democrats from folding,” said Rep. Luis V. Gutiérrez. Where it stands right now, Ryan believes he has around 120 votes confirmed for the deal. The breaking of ranks by the less moderate members of the GOP and the alienation of the Democrats could make it difficult for the plan to gain the needed total. Ryan could potentially have to rely on half of the House Democrats voting for the plan in order for it to pass. 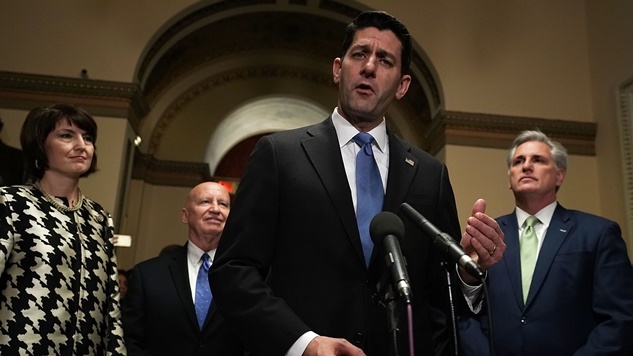 While some Democrats are planning to vote for the deal just to keep the government funded, among other reasons, it is unknown if there are enough Democratic votes to keep Ryan from trying to appeal to the House Freedom Caucus and those voting with them. With all of the various battle lines being drawn and hard stances being taken, it would surprise no one if the budget plan that should pass smoothly through the Senate hits more than one snag in the House. The deal needs approval from both legislative bodies by midnight in order to stave off the second government shutdown in less than a month.